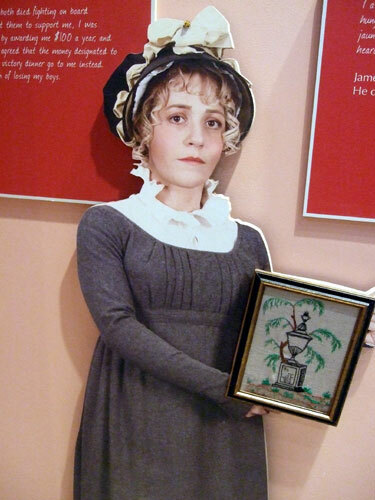 When I was asked to create an 1812 character for American Girl, I set out to learn everything I could about that period. 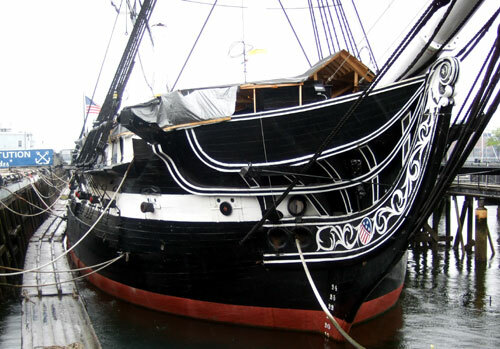 The very first thing I did was plan a visit to the USS Constitution and the USS Constitution Museum in Boston. Why? Well, I’ll share that in a moment. Attendees can dress up and enjoy an 1812 tea. I’ll present an illustrated program providing a behind-the-scenes glimpse of Caroline’s world. We’ll have time for questions, door prizes, autographs, photos, and tea. 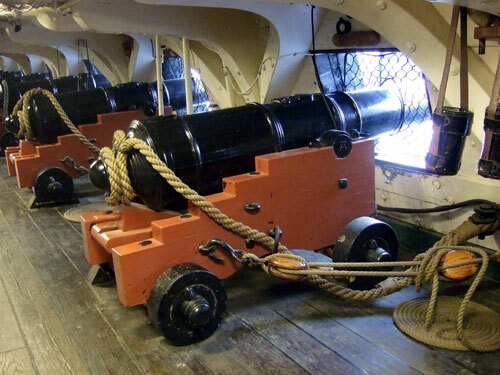 Then everyone can visit the USS Constitution Museum and take a tour of USS Constitution, a ship that actually fought in the War of 1812–just like those Caroline Abbott knew at Sackets Harbor. Tickets cost $12.50, which includes the special program, tea, and tours. To reserve your tickets, call 618-426-1812, ext. 113. 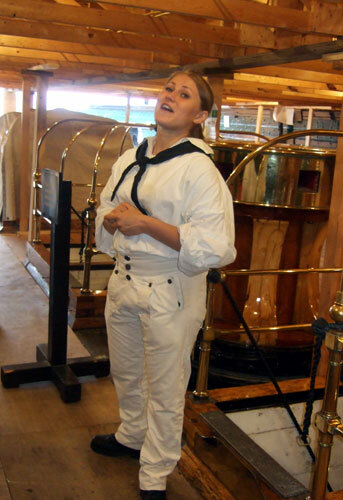 One of the active-duty tour guides on the USS Constitution. 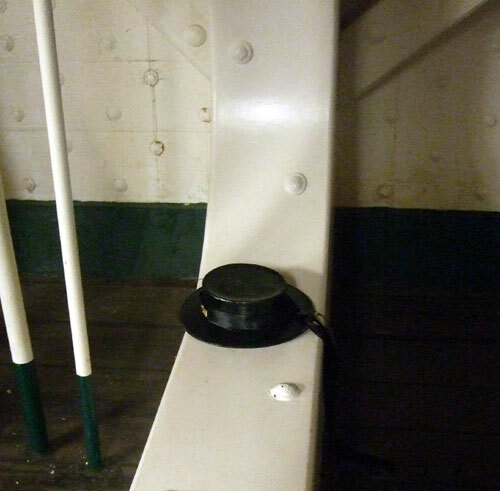 Touring the ship and imagining the men who once lived and fought aboard is a moving experience. …and slept in hammocks like these? 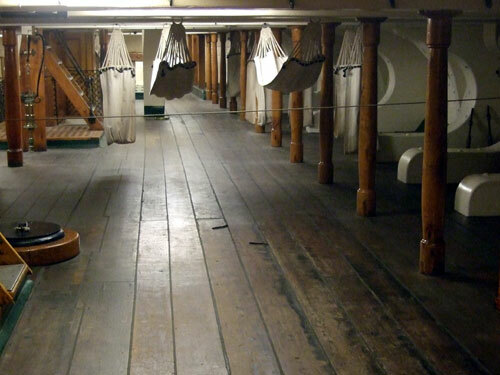 Touring made me feel like the 1812 sailors had just stepped out for a moment. And the USS Constitution Museum is a wonderful place to visit, and to imagine what your life might have been if you’d lived two hundred years ago. 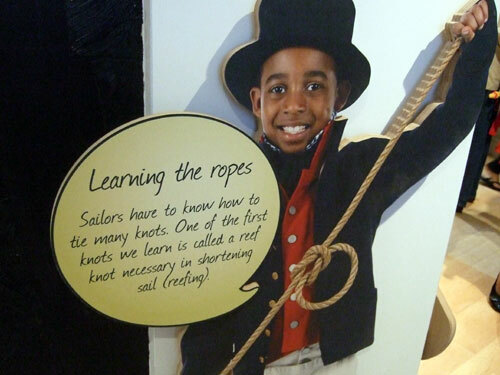 In my books, Caroline likes learning to tie new knots. Exhibits like this one helped me imagine Caroline and her world. 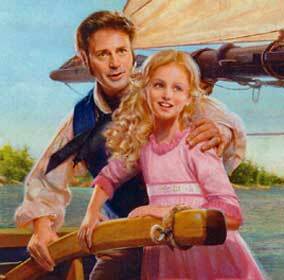 If you’ve read Meet Caroline, you know that her cousin Oliver planned to travel Lake Ontario as a merchant-sailor. 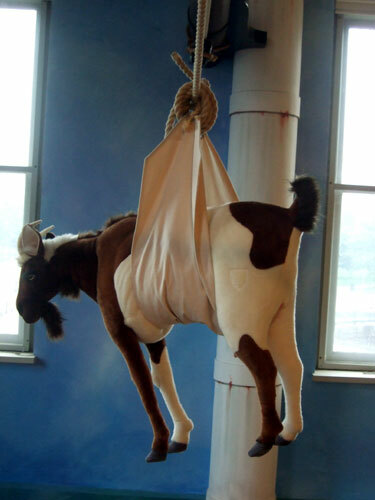 This exhibit showed how he would transport livestock from the dock to his ship! 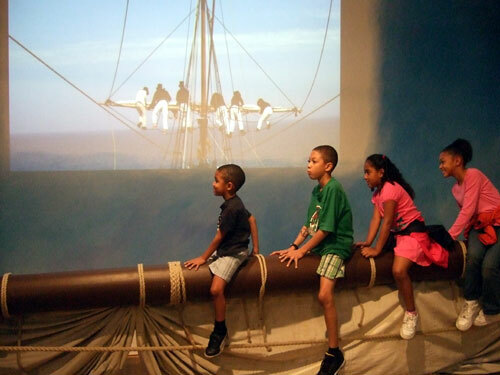 On my last visit to the USS Constitution Museum, I had great fun exploring the exhibits—and seeing how much fun kids were having as they tried swinging in a sailor’s hammock, raising a sail, dressing up as a sailor, and lots more. I’m looking forward to sharing this special place with readers. I hope to see some of you there!